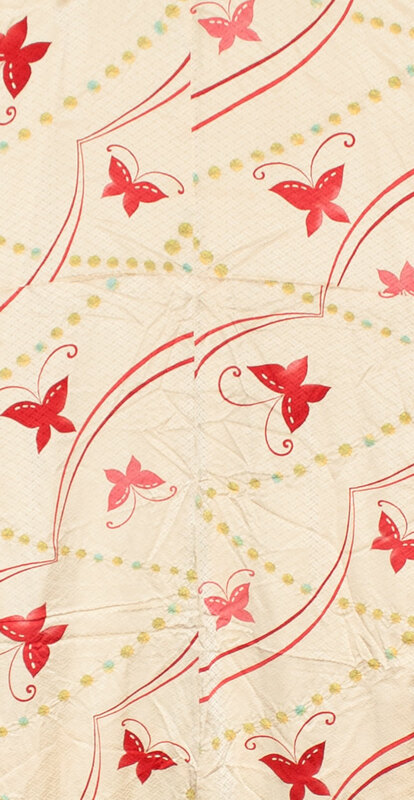 Kimoyes item: 21502 - Beautiful cream silk with self pattern and dyed butterflies in vibrant red. 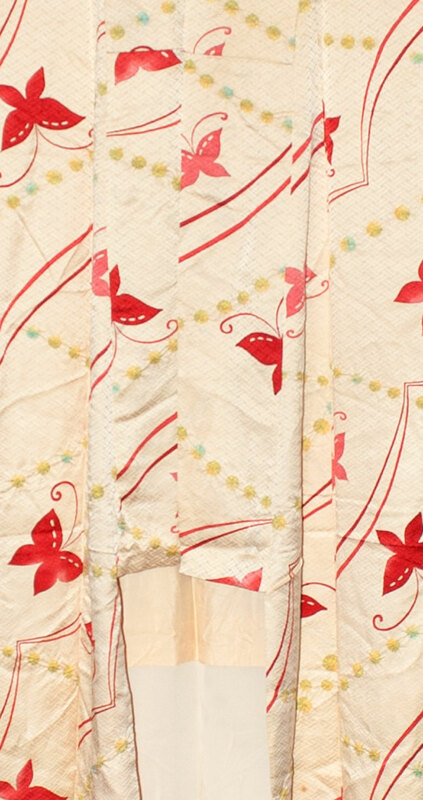 Beautiful cream silk with self pattern and dyed butterflies in vibrant red. 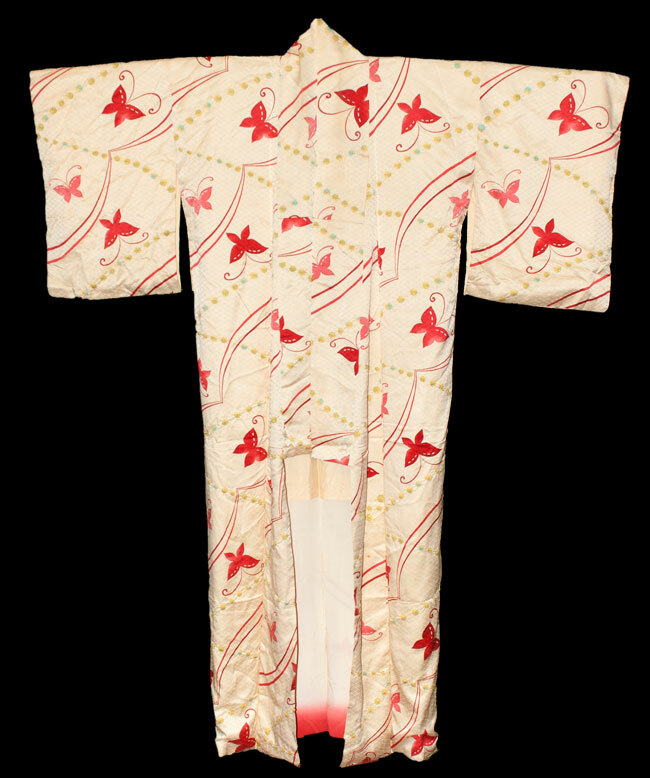 This kimono measures 59 inches from sleeve edge to sleeve edge and is 58 inches in length. 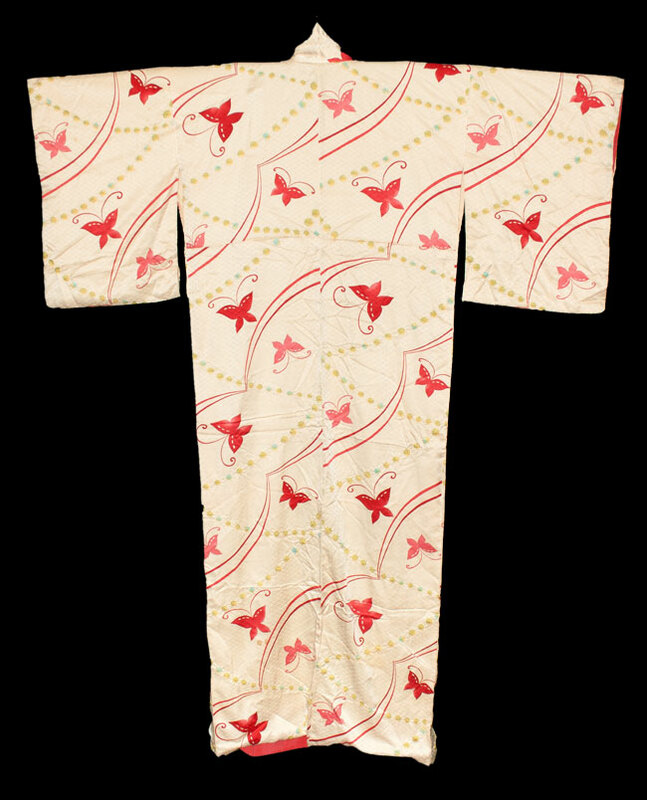 It would be comfortable to wear or display.